Jesse’s dad is one of the World’s Most Embarrassing Parents. For a start, he keeps on making the same pathetic, lame jokes. Ben’s Dad is not much better – whenever he sings he mangles the words to all the songs. 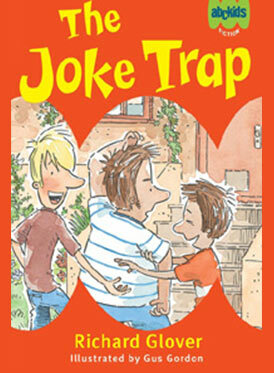 In The Joke Trap you’ll not only read some of the world’s worst Dad Jokes, you’ll also see how Jesse and Ben construct their own hilarious revenge.